Our Ancient Sanskrit literature is a store house of knowledge. There are several Research Institutions in the country which have housed our ancient literature in various parts of the country. 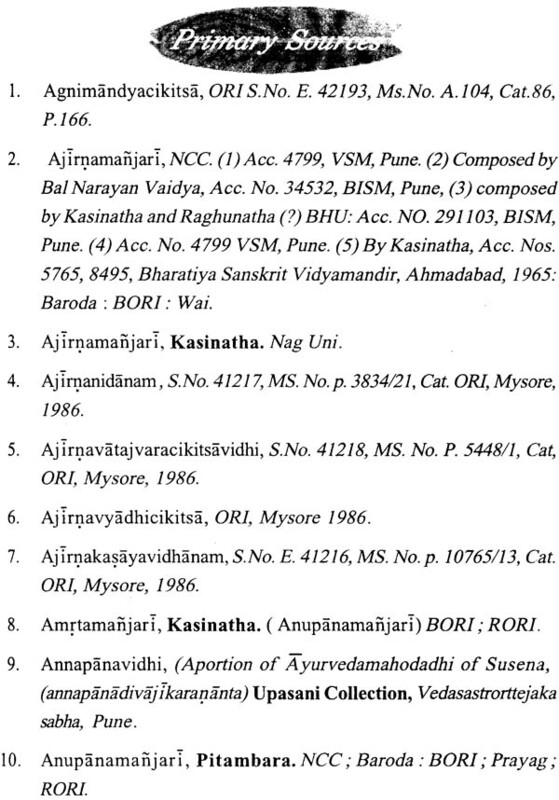 But most of the research organizations dealing with this Ancient Sanskrit literature are pursuing studies and research in the filed of Literature, Vedanta, Indian Systems of Philosophy, Dharma Shastra, Jyotisha and so on. 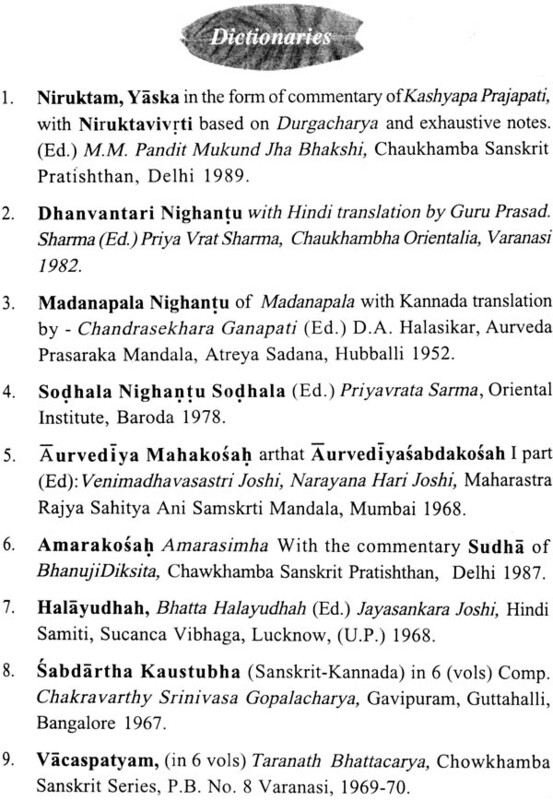 Vedas, Vedangas and also the literature connected with many of these subjects abound with valuable information with regard to the Indian Sciences and Technology. Though there are books exclusively dealing with Sciences and Technology, fragmentary information is available in many of the ancient texts with regard to Science and Technology, which has to be brought together to develop the same into a system. Unfortunately most of these institutions have not undertaken this type of work. Hardly there are persons who can interpret many of the texts on Science and Technology in Sanskrit. With a desire to fill this gap Academy of Sanskrit Research has undertaken extensive exploration work in the fields of Sciences and Technology based on Sanskrit in collaboration with many of the Scientific and Technological institutions in the country. One such effort is to explore the Ancient Food Science and Technology in its various aspects with the help of Central Food Technological Research Institute, Mysore. To start with Academy made an extensive study of the texts such as primary sources, secondary sources and so on available dealing with ancient Food Science and Technology available in various parts of the country in Manuscript Libraries, individual collections etc. 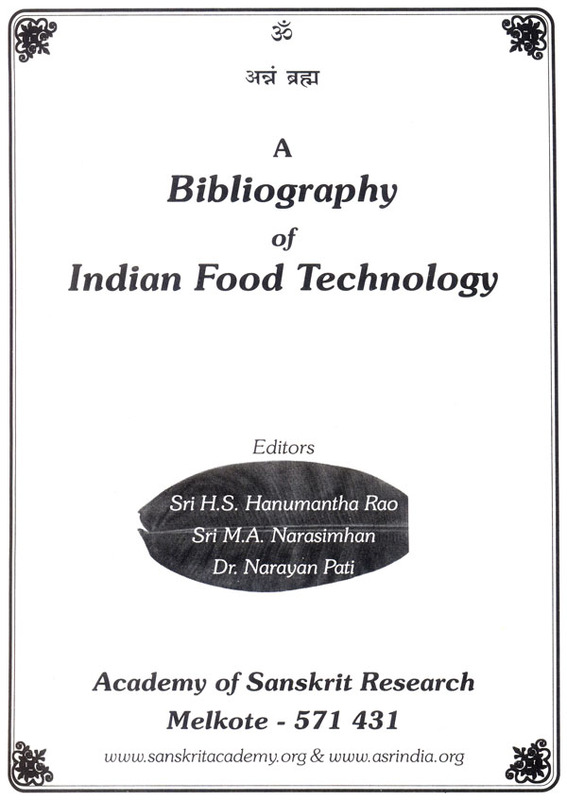 Based on this information the Academy is happy to place this Bibliography in the hands of seekers of knowledge in the field of Food Science and Technology based on Sanskrit literature. Hope this will pave the way to undertake several projects in the field of Food Science, which could provide solutions to many of the problems faced by the modern people due to their food habits. The holistic approach of our ancestors regarding food will go a long way in establishing a society, which is healthy, peace loving and harmonious. The editors will remain indebted to the scholarly guidance showered by the dynamic, Prof .M. A. Lakshmithathachizr, Director, Academy of Sanskrit Resaerch, in bringing out this capsule of wisdom .He has been a source of eternal strength. His confidence in us has inspired us in taking up this challenging task of presenting this book. We are really indebted to the scholarly inputs of Vid. S.Narayanci, Sri R.KNarayan and to Sri M.S. Chandra Sekhar, Dr. Dilip Kumar Kar, Sri Javare Gowda, Sri M.S. Vijay Kumar, for their untiring effort in bring out this work and the sole credit for this beautiful layout goes to their credit. We will be doing an injustice, if we do not express out gratitude our printer twins, Sri KS.Bettaswamy Gowda and Sri G.N. Bettegowda, who literally worked day and night to produce such an admirable piece good work. We hereby express our, sincere gratitude to Sri Antipathy of the ‘Good touch printers’ who, despite our late approach has been able to help us in terms of color impression and giving a proper getup for this work. We also express our sincere thanks to Sri M.D. Rangarajan and Sri B.S.Krishnaprasad our Assistant Registrars and their staff for co-operating with us despite our unearthly hours of work schedule and impossible demands on their time. When, our Director, Prof M.A. 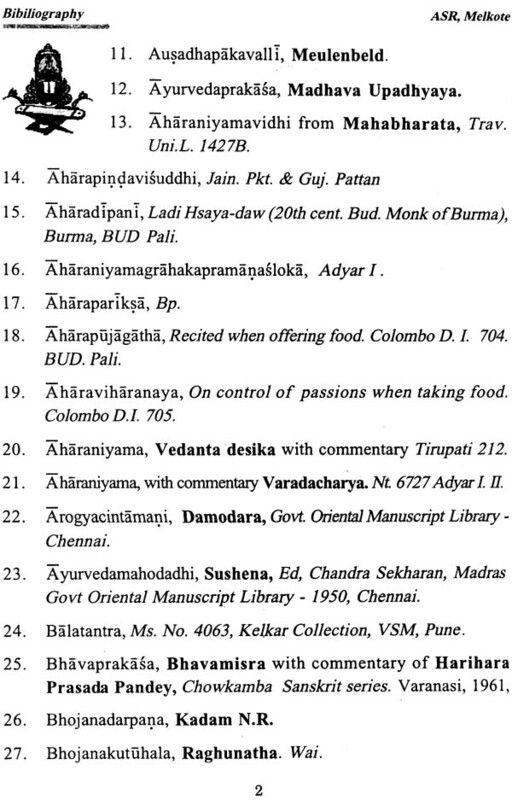 Lakshmithathachar, suggested that, we should look into the Food Technology of Ancient India, we care literally amused. We did wonder, what worthwhile information, could there be in terms of research, in such a common, trivial subject. But as we proceeded in our foray into the intricacies of the technology of food in ancient India we found that food was not just a matter to be consumed for survival nor it was meant only to titillate the taste buds. For the ancients of our country food was both a means enjoyment and also a means to stagger the rate of evolution of the individual. We were very much surprised to see that more than hundred fifty institutions in India alone are doing research work in the field of Ideology and that there are around hundred research journals in existence. There does not seem to be a dearth for publishers too. We have more than hundred and sixty publishers of Ideological works. 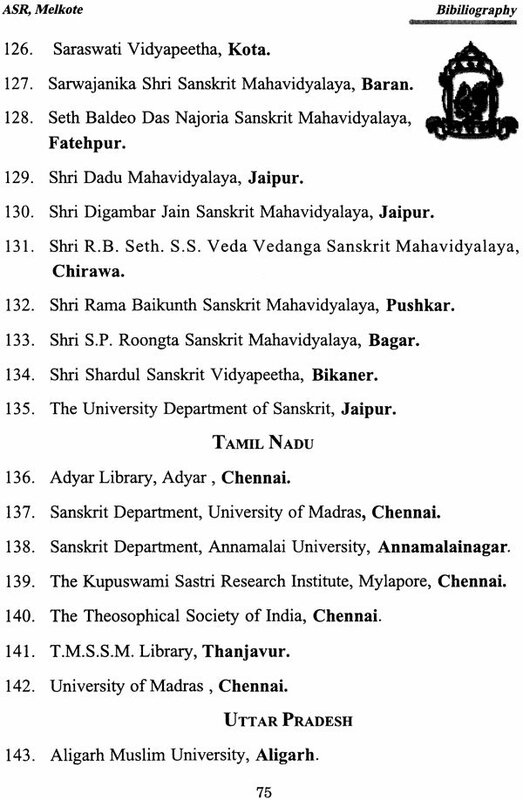 There are more than 270 libraries with a significant number of printed works and Mss., on Indian science and technology. When, our Director, Prof M.A. 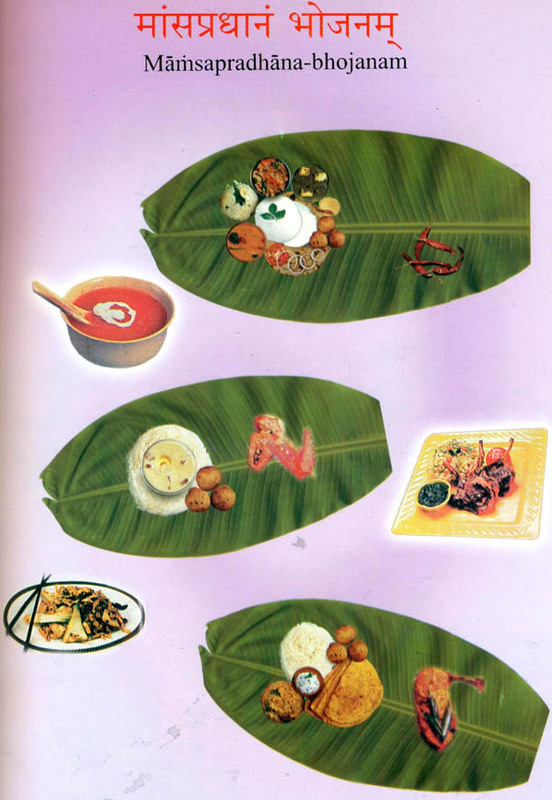 Lakshmithathachar, suggested that, we should look into the Food Technology of Ancient India, we care literally amused. We did wonder, what worthwhile information, could there be in terms of research, in such a common, trivial subject. But as we proceeded in our foray into the intricacies of the technology of food in ancient India we found that food was not just a matter to be consumed for survival nor it was meant only to titillate the taste buds. For the ancients of our country food was both a means enjoyment and also a means to stagger the rate of evolution of the individual. We were very much surprised to see that more than hundred fifty institutions in India alone are doing research work in the field of Ideology and that there are around hundred research journals in existence. There does not seem to be a dearth for publishers too. We have more than hundred and sixty publishers of Ideological works. There are more than 270 libraries with a significant number of printed works and Mss., on Indian science and technology. We are bringing out this small bibliography on food, which contains information not only on food but also C on the libraries, catalogues and institutions including publishers. We hope the Ideological research scholars in the field of food will welcome this endeavor of ours, with warm regards. Our ancients have proclaimed the eternal truth ‘JIvo Jlvati Jvena’ life gets sustained by life. It has been the common experience of all of us too. Man is very much interested in hastening the pace of his evolution. So he has been using many a methods to modify the products of nature. Hence he has been devising a technique that enables him not only to enjoy the munificence of nature in the present but also to manipulate the very sources of sustenance, in such a way that faster evolution can become a certainty. One such means has been food. 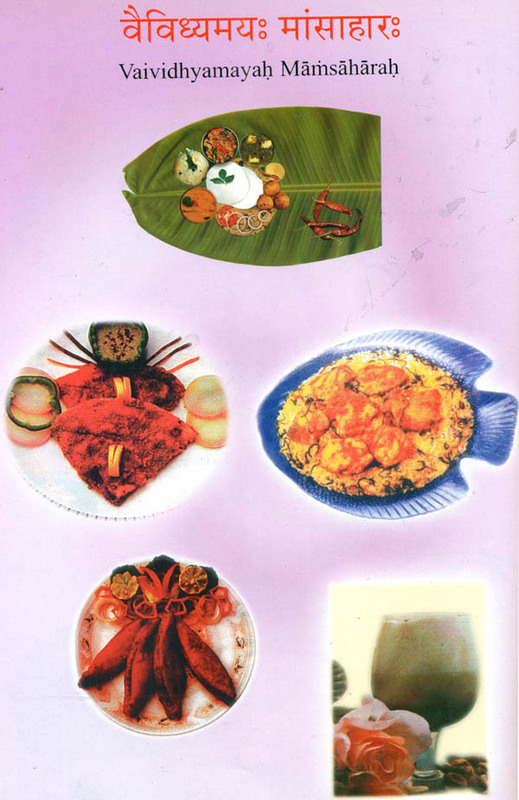 Food is generally considered either as satiate of hunger or as a source of Gastronomic pleasures. But, our ancients have been of a different opinion. According to them food should not only be enjoyable, but should also help in increasing one’s vigor, vitality, along with increasing the Sattva of man.. They have also been using food as a tool, to strengthen the system, so that, it can never failure to debilitating tendencies be it physical or Mental. The Ancient texts like Caraka Samhitã, and the Smrtis of Manu, Yãjhavalkya and Parãara, gives in detail about the choice of foods that are to be taken according to the time, place, social status, the physical and mental state and the profession followed by the individual. Even though the rules laid down by the Smrtis looks restrictive on the surface when one goes deeper we find the depth of knowledge of matter and the vision ‘ that the 1?sis of yore had to create and sustain a healthy society for a long time to come. They are for more ambitious than just creating a Neuro-physiologically healthy society. Their ultimate aim is to get man liberated from all the miseries that are part and parcel of being confined to this three dimensional world but be free to express and enjoy oneself :n a multi dimensional world. So for this purpose all creation?, ias been classified into three categories, under the name Gunas. They being, Sattva, Rajas and Tamas, determined on the basis of activity and the aspiration of the person. Appropri ate food, in terms I (Gunas are suppose to be taken, if one wants to enhance or curb any the Gunas. According to the ancient texts Sattva Guna, should be the most desirable state of mind. 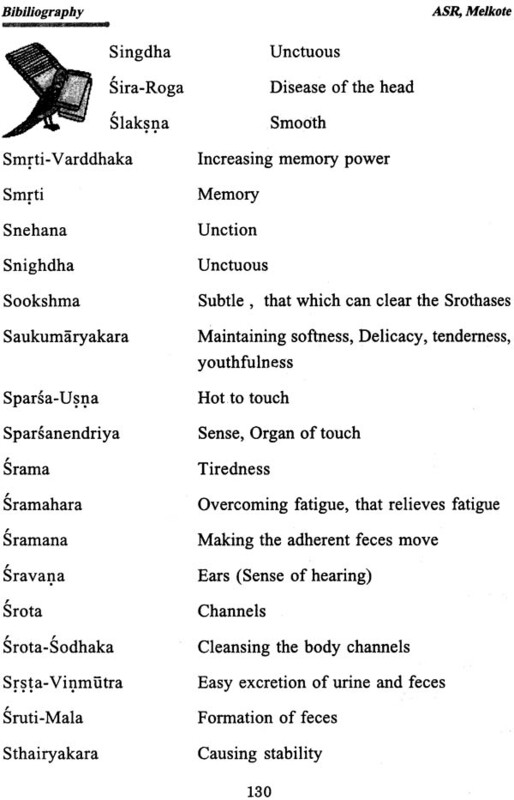 A Sattva-guna dominant person will always be a ‘nester of his senses and the mind. The Rãjasa dominant person will be courageous, patient but too volatile and restless. He is more action oriented aid tends to command others. Tamasa-guna represents laziness, dull mind, different digestion and so on. Such a person, most of the time, would like: o be a follower than a leader. These Gunas are significantly affected by the -.do one takes and the company one seeks. 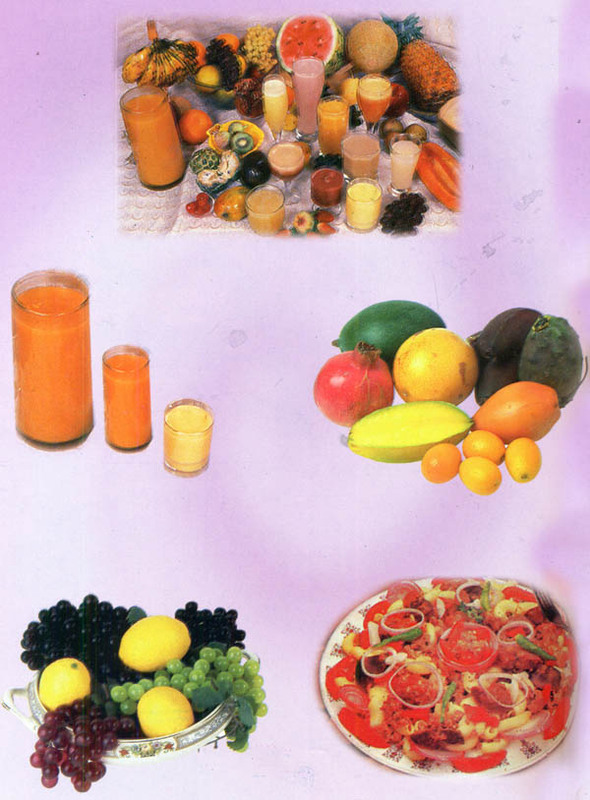 Thus food is classified first into: karee and later Ayurveda, sub classifies them into sixteen groups. Ayurveda under the chapter called Rtucarya, describes the solstice, the six seasons, the transition period between the two seasons, which determines the choice of food to be taken. In the section of Yama Vibhaga the time between sunrise and sunset, is divided into four Yãmas, and from sunset to sunrise has been, another four Yãmas to define the appropriate time for the preparation and consuming of food. Another less known but a strange fact is that the Indian Rishis do not follow the crude classification of food into Vegetarian and non-vegetarian, as it is prevalent today. According to them there are no permanent general divisions of acceptable and not acceptable food. The whole choice depends on the situation and the individual. In ancient India, the distinctions were also drawn between raw, cooked, those grown in different seasons and in different terrain conditions. To give an example, regarding the appropriateness time for eating the food that is cooked, in the first Yãma to the third Yãma of the morning is termed as highly suitable as it promotes Sattva. From the third to fourth, it is Rãjasa and from fourth Yãma it becomes Tdmasa and later on it is to be discarded. This rule is common to vegetarian as well as non- vegetarian foods. Nowhere is it said that, non-vegetarian food is Tãmasa and it has to be shunned all together. Meat as food, was in vogue in ancient India, but was not part of the daily fare. It was used, only on special occasions like the sacrifices and as an offering to the deity, guests and manes. Kãma-Sãstra emphasizes the consumption of meat occasionally will regain his strength quickly. The duration of time to determine the suitability of food for consumption is also given like for example milk and green vegetables is good for a day, curds for two days, ghee beyond a year, liquor until it is taken out of it spot, and fried-things can be kept for three days. They have also taken care of mentioning appropriate vessels for storing foods. Coming to the rules, regarding meal, it is said, one should take food according to his digestive capability, suitable to his profession, in consonance with his Varna andA.rama. The appropriate time to take food by the householders is the third Yäma of the day, and the second Yãma of the night, for the Vãnaprasti the third Yama of the day, consumption of milk and food in the night is advised. As the daily chore of the 1-iouse-holder is heavy, he is allowed to take two meals a day. Whereas for the Vãnaprasti, and the Sanydsi or monk, as Tapas is the main activity a single meal per day is advised to be taken either in the morning or in the night. The farmers and the laborers in industries, those who do heavy physical work are advised to take four meals a day. Pilots are advised to take five meals. But they should take light-food in small doses. Thus, we find the Dharma Shastras, and the Ayurvedic texts, gives in elaboration the proper and improper food, for all the spectrum of the Society, which is expected, to create a healthy, strong, vibrant evolving society where diseases become a rarity. It also aims at, elevating a person’s spiritual acumen, so that, we will have a society, of saintly persons.